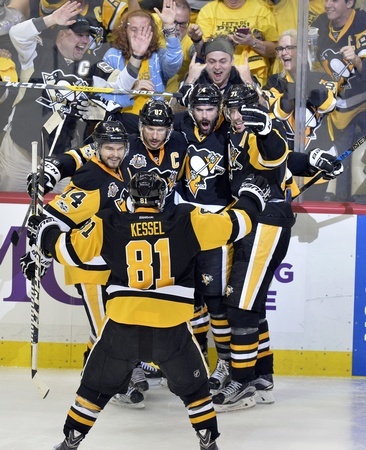 The Pittsburgh Penguins are returning to the Stanley Cup Final. They took home the Game Seven win over the Ottawa Senators on Thursday night, winning it by a final score of 3-2 in the second overtime. Chris Kunitz had the winner for the Penguins at 5:09 of the second overtime. He had two goals in the game, while Justin Schultz had the other. Mark Stone and Ryan Dzingel had the two Ottawa goals. The game was a trying contest and both teams fought for chances throughout the contest, but in the end it came down to a quick play by Sidney Crosby. The Penguins outshot the Senators 42-29 in Game Seven, plus they went one for one on the power play. Ottawa couldn’t convert on two power play chances. Pittsburgh played a more physical game, too, outhitting the Senators 44-25. They blocked 20 shots to Ottawa’s 16, but they gave the puck away more and struggled at times against the Kanata Wall. Senators defenceman Erik Karlsson was everywhere in Game Seven. He accounted for almost 40 minutes of ice time and had two assists. Marc Methot was a beast, with 10 hits to his credit in 33:20 of ice time. Pittsburgh’s defence was more well-rounded in terms of ice time, but Olli Maatta played nearly 32 minutes and blocked three shots. Up front, the Penguins were relentless and they tested Senators goalie Craig Anderson every step of the way. Kunitz had six shots on goal, while Evgeni Malkin had four chances to score. But as much as the Penguins shelled the Senators, Anderson hung in there as long as he could. Ottawa was solid when it came to boxing out most of the chances, but shots trickled through from time to time and Anderson was there with quick covers. Unfortunately, things always seemed tilted toward Pittsburgh in the series. Ottawa knew it was outmatched offensively and they lost footing whenever they tried to go shot for shot with the Penguins. In terms of trivia, Game Seven was loaded with it. It was the 41st time a Game Seven went to overtime. Home teams are now 21-20 in overtime Game Seven situations, which really confirms that things could’ve gone either way. The Penguins will go on to face the Predators for the ultimate prize in sports. The Stanley Cup Final series gets underway on Monday.